As was the case two years ago our IDYW conference and Youth and Policy’s ‘History of Youth and Community Work’ conference coincided. Once more the synergy between the two happenings was palpable. And the same venue, Hinsley Hall, again proved warm and welcoming. As ever too the event lived up to its promise – a relaxed gathering of enthusiasts keen to talk to and learn from each other. I’ve time only to give you a flavour of what one person called ‘the eclectic and energising’ proceedings. On the opening evening we were treated to a fascinating journey across the last two centuries,‘Girl Trouble: Panic in the History of Young Women’ led by Carol Dyhouse from the University of Sussex, a social historian and much published author. This was followed by a genuine film premiere, albeit without the red carpets, caviar and champagne. In my giddiness and excitement I’ve forgotten all the details, for which I’ll chase Tony Jeffs. In essence, though the sepia-toned film, ‘Youth Clubs’, was a government made tribute to the importance of youth leaders in tempering the excesses of young people, lured into shady arcades rather than the solid security of the youth club. Interestingly though the film was for the consumption of interested audiences outside of the UK. It had never seen the light of day in England’s green and pleasant lands till last week’s momentous event. The following days brought more riches. Where else would you hear the remarkable and often contrary story of “A Youth Worker Goes to War: The YMCA career of Barclay Baron, 1915-1919” delivered by Dr Michael Snape, Reader in Religion, War and Society from the University of Birmingham? Where else would you discover that our hero was flat-footed!? 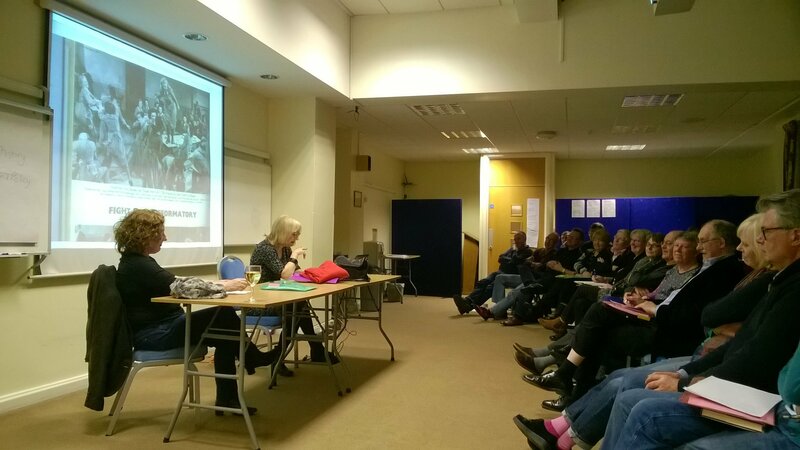 In terms of ongoing historical research Sarah Banks, Andrea Armstrong, and Gary Craig from Durham University talked us through the “Lessons and legacies of the Community Development Projects of the 1970s: Revisiting Benwell, from 1972 to 2015”. For those of us influenced deeply by the CDP and its famous text,’Gilding the Ghetto’, this produced both nostalgia and inspiration.Whilst Naomi Stanton (Middlesex University) and Lesley Buckland (George Williams College) shared a work in progress, “YMCA George Williams College – a history”. They are only part way through blowing the dust off files, long forgotten and locked in an unpretentious cupboard. Preceding the latter Tony Jeffs gave a bravura performance, riddled with insight, wit and sarcasm, in sketching the “History of the first youth work training course”. I say sarcasm as I was on the end of one of his withering asides concerning cold showers! Whatever my bruised feelings [! ], it looks as if the centenary of the first training course in the UK will be celebrated on October 8th, this very year. Details to follow. 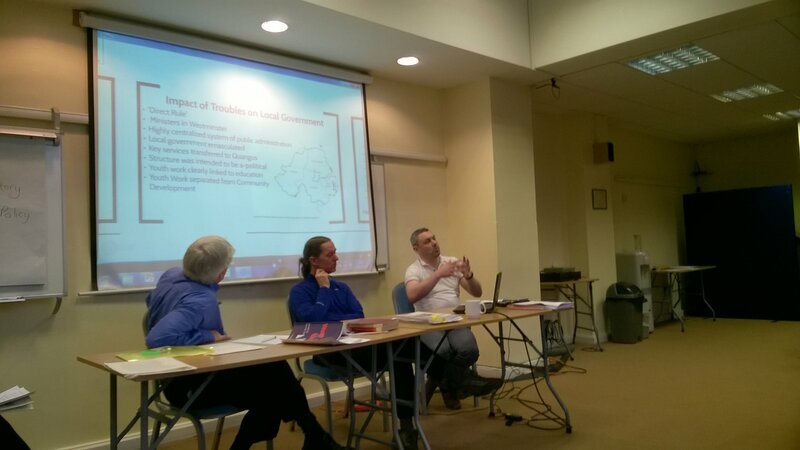 A symposium led by Jon Ord, Alastair Scott- McKinley, Tom Wylie and Eileen Newman explored “Differing histories in developing a youth work curriculum across the UK”. The presenters sought to open up discussion on the historical reasons why the notion of youth work curriculum is considered as problematic, yet in making this history visible, sought to show how a curriculum can have utility in some youth work contexts. Eileen unearthed a long-lost pamphlet from the 1980’s, ‘The Youth Work Curriculum’ published by the FEU, complete with its ‘soda glass model’ of youth work. In the view of one respondent this needed to be updated to the ‘lager glass’ model, reminding us of the old slogan that youth work reaches the young people others fail to reach. 1. 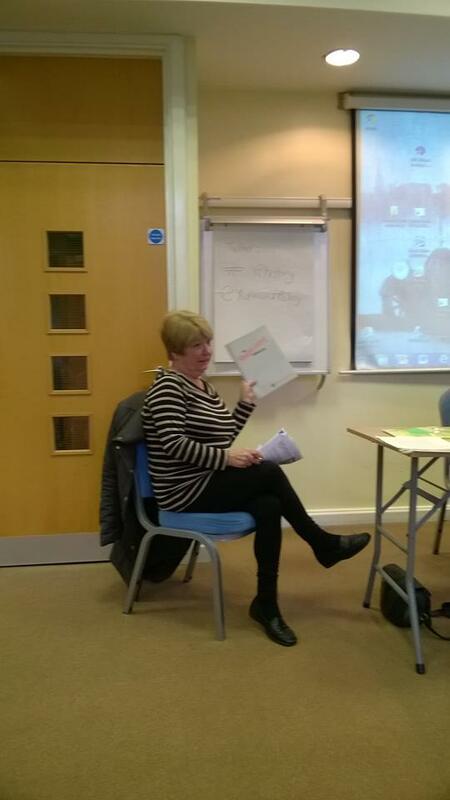 Jean Spence – ‘A Voluntary Contribution’? World War One and the boys of Lambton Street. As one participant reflected, Enjoyed the conference as always. Thanks to all the others in the Yand P group who took responsibility for organising this year’s event. I had to do nothing but get myself there! It is so important not only to be reminded of the importance of historical processes, people and events, but also to have this space for independent conversation and always in friendship. Thanks to Naomi Stanton and Moira Smyth for the photos.